 Industrial Clutch Parts Ltd. supply a complete range of Eaton Airflex Clutches and Brakes. With decades of experience and success in power transmission, Eaton Airflex has introduced its latest addition to its robust portfolio of industrial clutches and brakes. Eaton Airflex Pneumatic Disc Clutch (PDC) utilizes a simple air-tube design to provide consistent pressure during actuation. Eaton's PDC provides smooth engagement and disengagement, low inertia, easy maintenance, and high torque capabilities. Industrial Clutch Parts Ltd. are an authorized UK Distributor for Eaton Airflex Clutch and Brakes. Working closely with Eaton Airflex, ICP offers decades of experience and success in power transmission. Our large stock of Eaton Airflex Clutches and Brakes ensures prompt delivery and reduced downtime for our customers. Eaton's PDC provides a durable, trouble-free design to maximize uptime at a fraction of the cost of common disc clutches. The PDC is the perfect aftermarket solution to get back up and running while extending the life of the clutch with lower friction wear and reduced heat generation. The pneumatic disc clutch is ideal for applications in industries such as Drawworks, Offshore deck equipment, Marine drives/dredging, Pipe-laying vessel, Processing & aggregates, Recycling/shredding, and Logging equipment.